Out of the box, it's not possible to manage a non-domain joined Hyper-V 2012 R2 server from Windows 10. The following steps can be taken to enable WinRM and allow management. 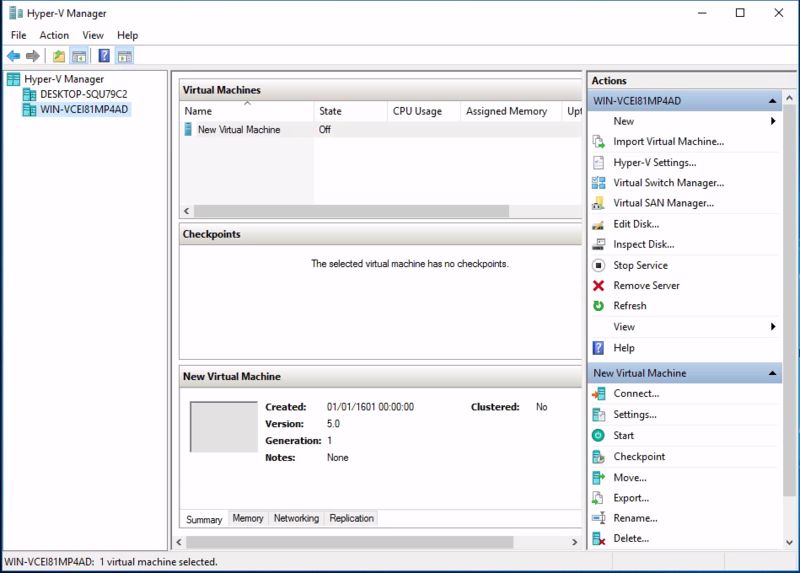 Check the scripts before running them as they will install Hyper-V and the Management tools. If you've already done this you can remove those lines. Bear in mind this uses NTLM encryption (Negotiate authentication) over HTTP. You will need to check to see if this is secure enough for you. Here is some further reading. 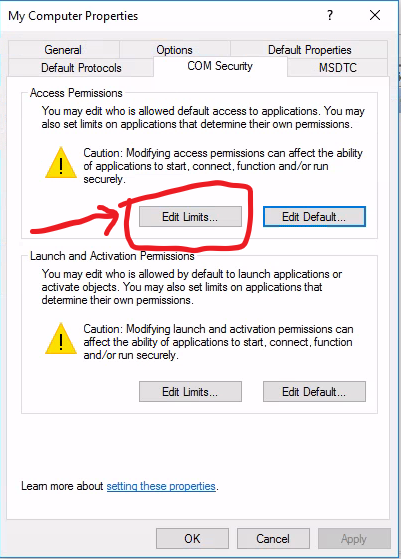 Click the 'COM Security' Tab, then click the 'Edit Limits' button in the 'Access Permissions' section. 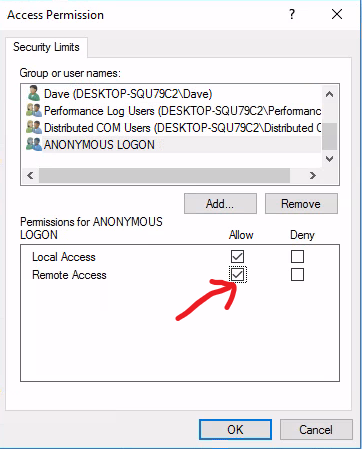 Check 'Allow' on 'Remote Access' for the 'ANONYMOUS LOGON' user group. Click OK.
Management should now be possible. If you want to manage the host with a non-admin account you can additionally follow this guide. Part 4 - Partial Configurations. Sometimes, having multiple configurations for a single server could be beneficial. For example, all servers built may follow a single base configuration, with another configuration to install and setup an application. Another example could be the 2 or more teams are responsible for the ultimate setup of a server with each team managing some portion of the configuration. Both teams can run a pull server with their own configurations. To handle this, DSC now supports partial configurations. Partial configurations can be set up using push, pull or some combination of both. In this example, the LCM on the client is configured to pull 2 configurations from the pull server using the ConfigurationID method. ConfigurationID should not be an easily guessable number therefore New-Guid is a good method to generate this. The following is a basic test configuration for the machine using the 2 partial configuration names set up in the LCM configuration. It is using the same $AllNodes configuration data as the above LCM configuration. In the above configuration, using the same $AllNodes configuration data, the mof files are published to the correct location on the pull server. It is possible to configure this using the Configuration Names method also. Further reading on this topic can be found on MSDN here. There are lots of pre-defined modules and resources to use in a PowerShell DSC configuration, but what if none of them do exactly what you need? Enter the script resource. The script resource is actually very similar to how full DSC resources are created, so if the script is fairly complex or will be used for more than just a few tests then I would recommend creating a full custom resource. There are 3 sections which need to be completed for this to work. This is used to test to see if the work that the SetScript section implements is already done. For instance if you were creating a certificate, you could use Get-Certificate in here and return $true or $false if the certificate exists or not. This section is required and should output $false if the SetScript section needs to be run and $true if everything is in order. This section does the actual work and is not required to return anything. Below is an example script that I made that will ensure a specific ODBC connection exists. This should really be expanded so that the TestScript section checks each section of the ODBC connection to make sure the server, database and name all match the correct information. For the purpose of this example though, it should demonstrate a working script resource. Variables are not processed at execution time, they are expanded when the .mof file is created. The special $Using:varname syntax is required to expand them at creation time. Throughout the script, I use Write-Verbose so that the text is hidden during normal runs of the configuration. Further information on the script resource can be found here. A DSC Pull Server can be configured using SMB by creating a fileshare that allows the machine account of the clients to read the share. Simply dropping configurations in the correct format and configuring the LCM will allow clients to pull a configuration from the server. The share should be secured to only allow trusted admins to read and write data. Alternate methods are HTTP and HTTPS which are identical except for TLS. HTTP configuration is not recommended since all communications are done in the clear and configuration data is sensitive. HTTP also opens the possibility for man in the middle attacks. An HTTPS pull server can be bootstrapped using a DSC configuration with the xWebService DSC module. The full MSDN guide can be found here. The following .ps1 file will create and configure a web server as a DSC pull server on the machine it's run on. This will be using a self signed certificate, so should not be used in production. Once this has completed, it should write on screen the thumbprint for the new self-signed certificate. This is required to configure the client. To configure the pull client, the LCM on the machine needs to be set up to collect it's configuration from the new pull server. To do this run the following DSC configuration, then apply it with the Set-DSCLocalConfigurationManager command. Make sure to note the certificate thumbprint from the pull server creation script and add it to the client configuration below. Once the client is configured, a configuration for it can be created and added to the pull server. There are 2 methods for adding configurations to a pull server. The configuration .mof files can be named the same as the GUID configured in the LCM, or the configurations can be named friendly names and referenced in the LCM. The friendly names require registration of the pull client with the server. Further information can be found here. Configurations held on a pull server also require a checksum to be created for them. This is shown a bit further down. The above LCM configuration uses the GUID method. When it is run it should write to the screen the GUID for the client as configured. Be careful as the script will create a new GUID if run again. Once the mof file is created, run the following script on the pull server to move the mof file to the correct location, name it appropriately and create the required checksum file. PowerShell DSC - Desired State Configuration - is a declarative platform for provisioning Windows (and non Windows) machines with configuration information. Under the covers, there is PowerShell code which enforces the configuration on the machine. PowerShell DSC can be used to install and configure software and enforce configuration of the Operating System. PowerShell DSC is idempotent, which means a configuration can be run against a machine over and over and if the machine is already in the described state, then nothing will be changed. Included in-box are 'modules' which contain 'resources' that allow installation of packages and Windows features, copying of files and folders, ensuring registry entries are set to specific values and more. During execution, DSC will ensure C:\Temp exists. Running the same configuration again will result in no change, since the folder already exists. Omitting the -wait switch will create a PSJob and run the configuration in the background, omitting -verbose reduces the output from the configuration job and -force just tells DSC to ignore any other jobs in progress and force this one to run. The PowerShell Gallery hosts a ton of available DSC resources which can be downloaded directly. The PowerShell GitHub page has source code for many of the first party DSC modules. Viewing the source for a module can aid debugging a configuration considerably. PowerShell DSC supports two modes of getting a configuration to a client. In push mode, the LCM will apply a configuration sent to it using the Start-DscConfiguration command. In pull mode, the LCM is set up to check a server for it's configuration, download and apply it. ✔ WinRM needs to be set up and working as a prerequisite to this, to make this easy both machines should be a member of the same domain. This will create a .mof file for dscclient.example.com and save it in C:\DSC\BasicPush. For most non-trivial configurations, it's likely that credentials will be required for access to installation packages or AD for example. Passing credentials with DSC requires a special encryption certificate to be created, with the private key installed on the remote client and the public key accessible on the workstation where the configurations are created. Executing a configuration will encrypt the credential with the public key so that the remote machine can decrypt and use it with it's private key. It's worth remembering that anyone with access to the private key can decrypt the credential from the stored mof file. Mof files and private keys should be secured appropriately. Anyone with admin level access on the client will have access to the private key in the certificate store and therefore be able to decrypt the password. Any credentials used should have the minimum amount of rights to get the job done. Credential management appears to be broken between versions 4 and 5 of the WMF. I would therefore advise installing the production release of WMF 5 on Server 2012 R2 and Windows 8.1 to ensure credentials can be encrypted and recovered properly. 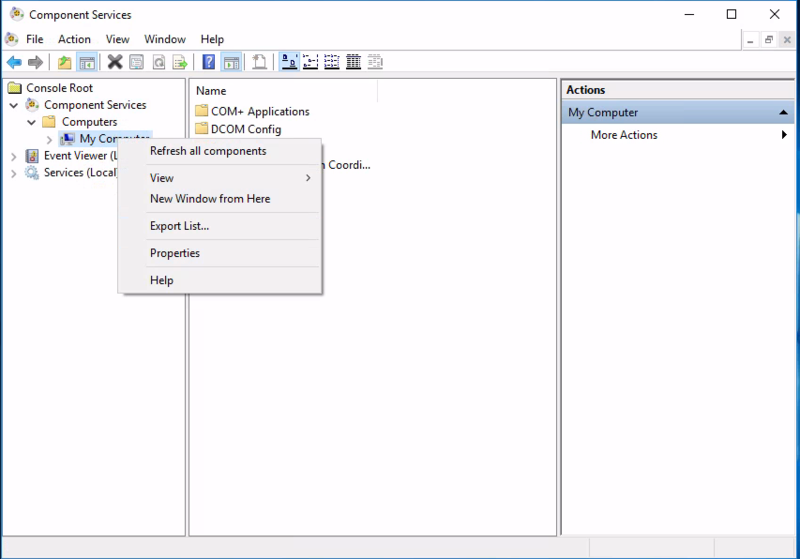 To create the certificate, you can use Windows PKI and create a special template. I have detailed this process in another blog post here. An interesting alternative, that I haven't tried myself may be to use the xDSCUtils module to bootstrap with self-signed certs. ✔ Run the following PowerShell script to export the certificate public key to the local machine. This will store the key in a local .cer b64 encoded file. The script will also generate 'configdata' for the push command. ✔ Execute the configuration on the remote machine. ✔ It's worth opening the .mof file in a text editor so that you can see the encrypted credential in the file.